A few weeks ago my husband was in Germany at a business meeting where he was served watermelon with feta cheese for dessert. He made a point of telling me how good it was–surprising since he’s not the most adventurous eater. 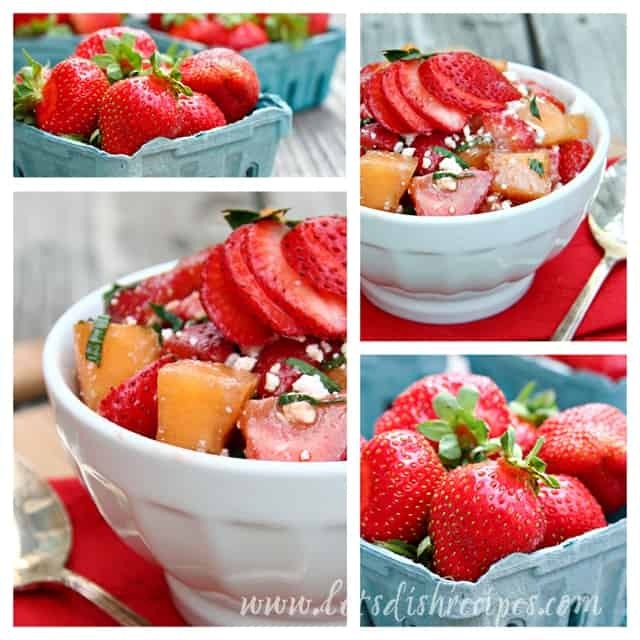 If he hadn’t shared that with me, I may have never tried this Strawberry Cantaloupe Salad with Mint & Feta. I’m so glad I decided to give this recipe a try! Don’t be afraid of the unique combination of ingredients. People eat apples with cheese, right? 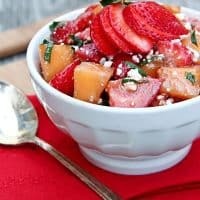 So feta in a fruit salad isn’t so strange. My husband and I both loved the combination of sweet and savory ingredients. Even the 8 year-old liked it! The original recipe did call for an entire cup of feta, but I thought that was way too much. If you really love feta though, feel free to add more. This salad would be the perfect accompaniment to all of your favorite summer grilling recipes. I highly recommend giving it a try! 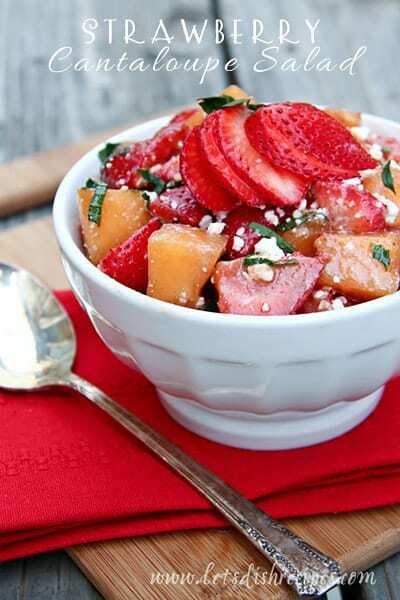 In a medium bowl, combine cantaloupe, strawberries, balsamic vinegar, olive oil and pepper. Stir to combine. Stir in feta and fresh mint just before serving. Who Dished It Up First: Adapted from Growing a Green World.